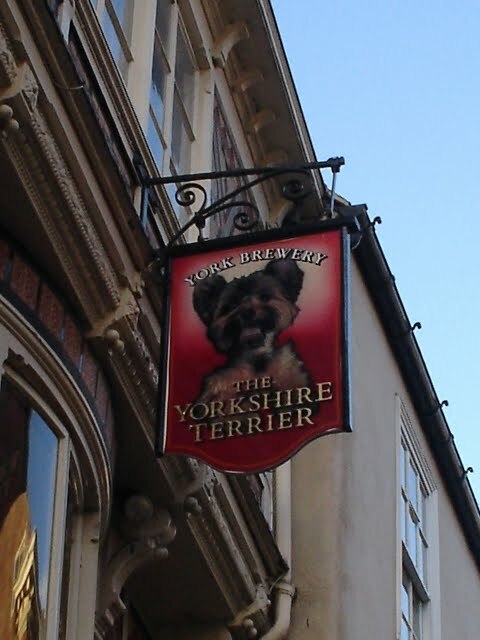 As a tribute to my parent's dog Sasha, we stopped at this pub tucked away in the snickelways of historic York, England. Svea, Linus, and I drank a toast to Sasha, for all the joy he brought to my mom and dad during his life. Here's a picture of our respective drinks. Svea fancies the little half-pint glasses. I think she might steal one before long. I drank a Yorkshire Terrier Ale, by York Brewery. This is one of my favourite beers, and today did not disappoint. The brewery owns the pub, something that is not allowed in British Columbia, unless you brew the beer on the premises. Why exactly this is not allowed is a mystery to all but those who have bravely tried to disentangle the paternalistic, oligopolistic, and illogical set of rules and regulations that make up liquor licensing in my home province.